Sometimes it’s the little things that make us return. Or decide to do business again. Often, it’s the unexpected gesture that keeps us coming back. The complimentary digestif. A small gift in the mail. Or just a simple thank you. This year we’ve made it even more affordable to say thanks and spread some festive cheer. 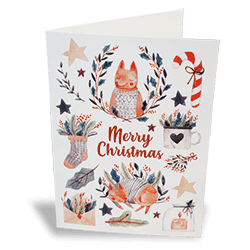 Fast&Festive Christmas Cards are printed digitally onto 350gsm silk art and supplied pre-folded. Or for larger quantities, Premium Silk cards are an even thicker alternative and supplied flat, ready for folding. Envelopes available for just 5p each. 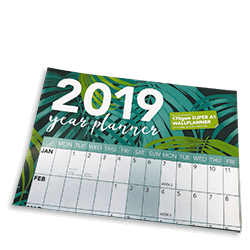 Or why not treat your customers to something extra? 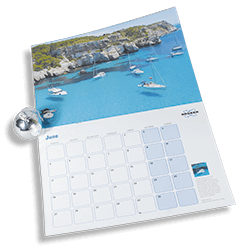 Our range of calendars and wallplanners have something for everyone. 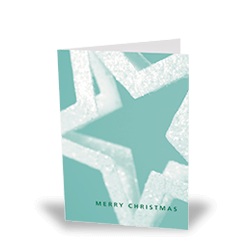 Pre-folded, 350gsm silk Christmas Cards, delivered to you in 48 hours. An even thicker alternative and supplied flat, ready for folding. 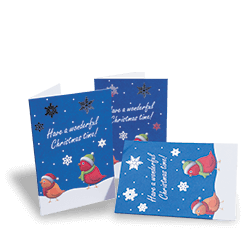 Copper, gold or silver foil highlights on the front for a festive look. 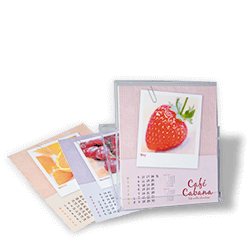 These calendars come in two sizes complete with acrylic case and 14 separate cards. Choose from large A2 or Super A1. Up in December and they’ll stay up until January two years later. That's 14 months of advertising!